Gilbert padding has been developed with performance in mind. The 2015 range provides option for all levels of the game. With enhanced breathability from strategically placed mesh panels, all Gilbert padding provides performance and comfort for players of all levels. 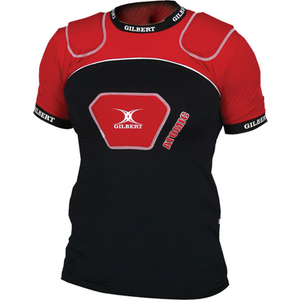 Key shoulder and sternum padding with technical base layer fabric ideal for entry level rugby.